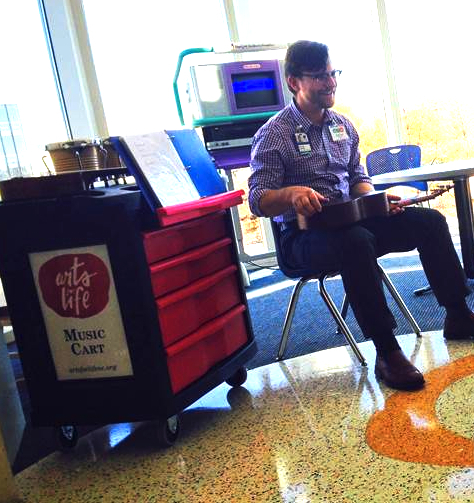 From 2014 - 2016, I was the Music Teacher at the Duke Children's Health Center & Hospital through the Arts For Life program. I taught hundreds of pediatric patients ukulele using my original teaching method book. I also created and produced the "Arts For Life Radio" bedside podcast, where pediatric patients perform songs, tell jokes, and give interviews. Not to be missed! Click to read an interview with William Dawson about Arts For Life Radio.